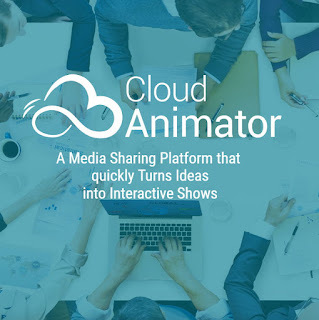 Cloud Animator is a new, cloud based, animated explainer/presentation, video creation studio by Reallusion, who are better known for their flagship products iClone, CrazyTalk, and CrazyTalk Animator. The best I can describe a Cloud Animator Video Presentation is that it is kind of a cross between a Power Point Presentation, Animated Explainer Video, and a HTML5 application. As someone who creates animated business explainer videos for a living, I've been a little perplexed as to what Cloud Animator is trying to be, and where I would use the videos created with it most effectively? Now that I've taken a deeper dive into what it can do, by actually producing a sample presentation myself, I'm starting to understand the benefits of adding interactivity to a video presentation. If you are familiar with Youtube's clickable, end card links, and in-video link cards, then Cloud Animator gives you a more advanced and feature packed version of that, without any of the limitations Youtube imposes on its creators. Below is my three scene presentation, promoting one of my longboards, that took me just under an hour to create. It uses one video that I had already created and uploaded to YouTube, splits it into two parts, separated by a User Interface of clickable links. The first link takes you to the rest of the video, included in the presentation, while all the other links take you to external web pages. The above video presentation is hosted on my Cloud Animator account and can be shared via a link or by using an embed code - for embeding directly into a website. Presentations can be played on any device browser that supports HTML5 - which most recent devices do. A short, shareable video presentation like this, is a great way to promote a product or service with direct links within the video to more information or the product's online store page. No more 'links in the description' as your links can be right there in the video in a visually enticing way. As you would expect Cloud Animator can import video clips, gif animations, various image formats, audio, and more to help you create a unique video presentation about almost anything. Where it differs from other video creation tools is that, as mentioned, you can also include clickable links within your presentation to send the viewer to other parts of the video or even to external links like your website. There's even options to link to phone numbers, email or send SMS messages. If you're tasked with learning Cloud Animator to make presentations for your organisation, the user interface is fairly easy to navigate and learn - particularly if you've used other animation studios. On the left side, thumbnails of each individual scene are shown. In the middle is the main stage/scene editor. On the right is the properties palette where you can access all the different elements, templates, and settings for the selected object in the current scene. Across the bottom is the timeline for the current scene. Creating your own video presentation can be as simple as choosing a template to modify with all your own custom content, or, for more advanced users, starting with a completely new project and designing almost everything from scratch. Included in the studio is an extensive library of design elements, including images, shapes, music, text to speech, animated effects and more. Creating a presentation is pretty much a case of designing each scene layout, then deciding when and how the various elements might have effects and animation added to them. After that, decide where you want links to be and what they'll be linked to. The process is not complicated to learn at all. My example presentation is very simple but you could use Cloud Animator to create a fairly self contained 'choose your own adventure' story, style presentation. Another application might be to create an educational presentation of discovery, with different paths, depending on the links you select. What about, instead of a landing page, create a landing video, with links to animations/videos detailing product info, benefits, testimonials, and the call to action all within the presentation instead of as text and images on a long form web page? Cloud Animator is suitable for a wide range of video presentations. It could be improved with the addition of whiteboard enter and exit animations of a hand drawing or erasing various elements. It also falls down for presentations where you want characters talking on screen. It's not impossible to do but you'll need experience with additional software, like CrazyTalk Animator, to animate and lip sync your characters. Currently there are three subscription plans, all of which can be used for commercial purposes. The free, Basic plan and the Advanced plan are virtually identical other than purchasing an advanced plan gives you considerably more of everything the basic plan has to offer. The Business Premium plan is by far the best option as this unlocks the ability to host your presentations on your own server, or even offline. As well you can import MP4 video into your project, as opposed to only being able to import videos already uploaded to Youtube with the Basic and Advanced accounts. As well you can customize the player logo and gain access to project collaboration features. 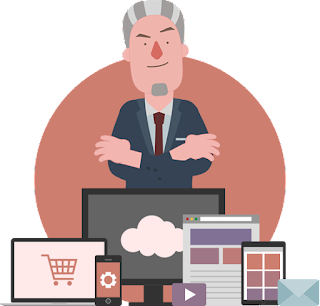 At US$199/yr the price is exceptional value compared to other cloud animation solutions. As I said at the outset, I was initially unsure of what Cloud Animator was trying to be. I think that's because I'm so used to uploading completed animated presentations to a video hosting service, which I know you can't do with a Cloud Animator video presentation. Since Cloud Animator presentations are hosted on your account, you don't need to upload them anywhere. However, if you do want to host presentations on your own server, you can with the Business Plan. The main difficulty I had with Cloud Animator is learning to think beyond the typical animated explainer video design. Essentially, Cloud Animator allows you to add a User Interface to your video so that viewers can control their experience. Maybe you just want clickable links to show up at the appropriate moment, or maybe you want the viewer to choose their own path through your animated video? The possibilities are exciting - and a little difficult to wrap your mind around until you start using the studio. For presentation, info-graphic style videos it pretty much has everything you'll need. If you want to create whiteboard animations or have characters talk on screen, it's not impossible to do but you may need additional software like CrazyTalk Animator to achieve it. Overall, Cloud Animator is relatively easy to learn (with plenty of video tutorials to get you started) and is packed with powerful features that you won't find in most cloud based, animation systems. Once you gain confidence with creating an interactive user experience the possibilities really are almost endless. The fact that Reallusion has worked hard to make Cloud Animator presentations work on any device is probably the best feature of all. So many people watch videos on mobile devices and won't read long blocks of text. Finally you can easily give these people an interactive experience instead of a boring web page. 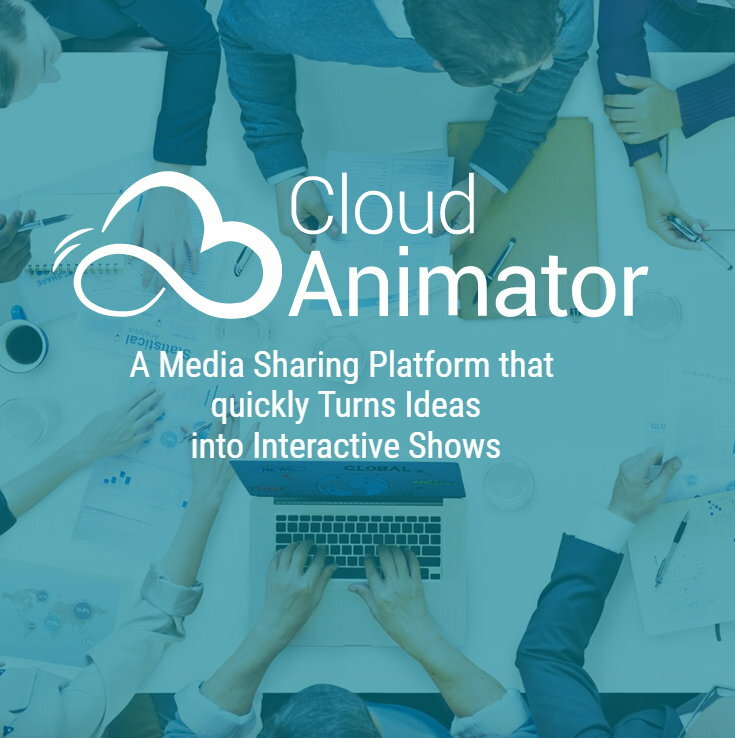 Cloud Animator is well worth considering if you want to engage your audience in a more fun and intuitive way. Thanks Scott, I'm glad you found this review, and my site in general, to be of use. Took me a while to really wrap my head around Cloud Animator in order to review it fairly against other solutions. I'm really warming to it now I understand its potential. Thanks for sharing, really a great help to choose right at right time with right price.